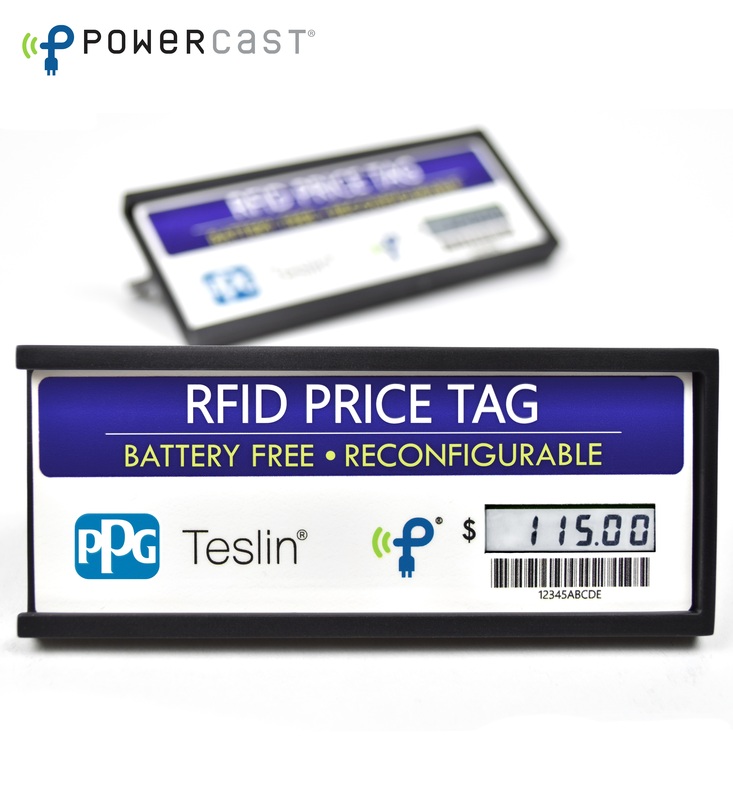 RFID Price Tag - Powercast Co.
Powercast is proud to leverage PPG’s Teslin Substrate in this new shelf-edge version of our UHF RFID Retail Price Tag. 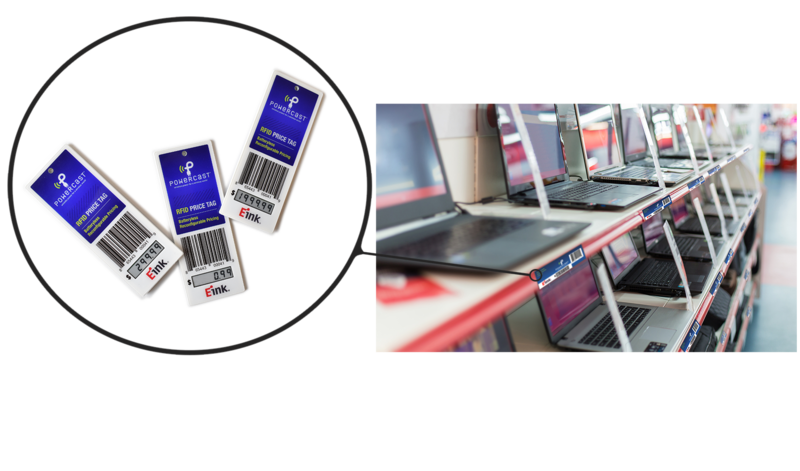 Re-designed for roll-to-roll printing in high volume, these ESL’s are designed to work with any typical RFID reader already existing in a facility’s infrastructure. 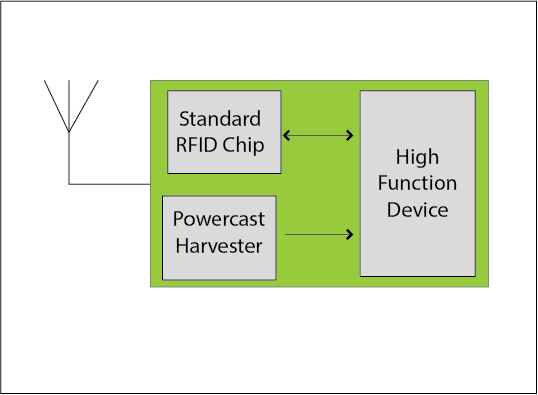 Leveraging Powercast’s wireless power harvesting technology, these price tags can operate perpetually and without batteries, making price changes simple, accurate, and extremely low-cost. 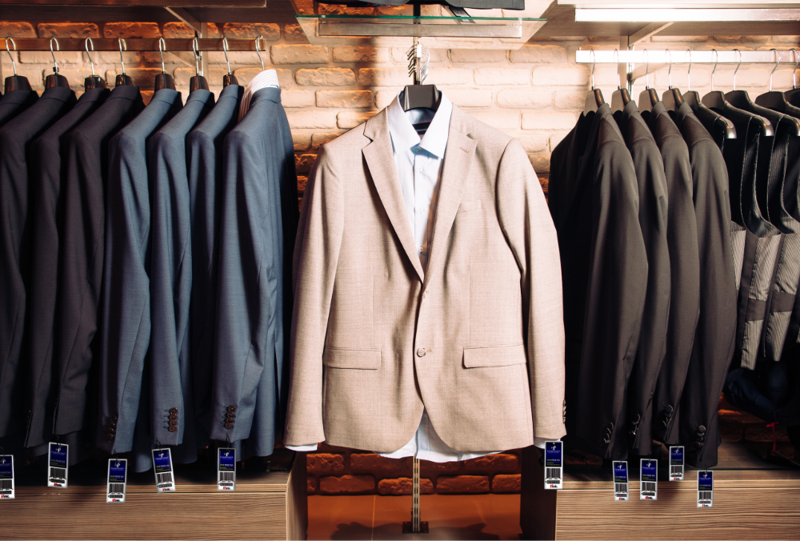 enables entire shelves of merchandise to be updated instantly and wirelessly at distances of up to 2 meters away with any typical handheld or fixed RFID reader. Featuring RF to DC power harvesting technology and a perpetual digital ePaper display from E-ink, the screen remains static without the need for a constant power source.